It's only ruddy 7 days in phones, and you've been truly spoilt as it's the second this week after the legal furor of the last one. Consider yourself spoilt. So without further ado, take my hand, and here we go! Weeeeeeeeeeeeeeeeeee. Nokia returns – but do we need it? Nokia is picking up the pieces and putting them all back together in a 'Dr Frankenstein' manner to resurrect its smartphone business, or at least that's what we've been led to believe. Rumours suggest Nokia is planning to jump back into smartphones as soon as the Microsoft deal allows, so it'll be the end of 2016, but do we really need it to return? 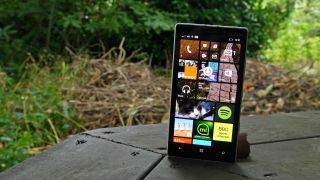 The only reason Nokia went from the worlds biggest smartphone manufacturer to the sad mess it was when Microsoft put it out of its misery was a lack of innovation. The platform held onto Symbian for too long and should have switched to Windows Phone quicker, but instead the iPhone and Google popped up and overtook it. Microsoft has taken over the Windows Phone-fronted end of the market now so we don't have any real need for another manufacturer doing that. If it doesn't innovate further, there's no reason to see Nokia come back into smartphones at all. We've got a long wait to find out what the company is planning but I want something fresh with new ideas to take the Nokia brand to the next level if it's gonna come back. Quick, HIDE! It's the Apple Watch… or, maybe the opposite: get out from under that rock and improve yourself. Google is taking that tactic and going balls out with the Android Wear platform. Updating it to the best it has been so far ready for the arrival of the most exciting thing in wristwear - the Apple Watch. But most of the additions are things we should have seen months back. Some manufacturers have been making their watches Wi-Fi ready for over a year now and Google hasn't bothered to turn the feature on until now. Although some should have done better... We're looking at you LG G Watch R.
Google got cocky; where is the maps functionality we should have had? The improvements to voice functionality? More Google based apps?…it all started out well and Google then begun to coast a little over the last few months but has had to buck its ideas up and improve ready for the Apple Watch. "Welcome… to The Council of the Forgotten handsets" announced an ominous voice shaded in black. Winston's knees continued to shake, this time out of nerves rather than the agony of his recently sustained injuries, whilst his voice followed suit. "Wh…wh…why am I here?" Winston asked. The ominous dark figure leaned out from the shadows a little to reveal the tip of his yellow beak. "Because you have work to do" the figure declared. The shadows around Winston began to retract revealing he wasn't alone with the figure - he was sharing this exchange with the rest of the council surrounding him. Paws, claws, teeth, fins, whiskers, tails, scales and all other manner of animal features began to fade into view as Winston span around to take them all in. There must have been 40 members surrounding him, all staring down menacingly upon the confused unicorn. Each sat upon a forgotten phone. Despite his confusion Winston managed to make out a BlackBerry Pearl, a Samsung E100, a Sony Ericsson K300, a Siemens A50, a plethora of Nokia handsets including the 5230, 3210, 6600 but there were many more he didn't even recognise. The leader sat higher than the rest of The Council upon a half open Motorola Razr V3i, looking down upon his clear subordinates. As Winston's spin came to a stop, his eyes met the beady peepers of the bald eagle. "What kind of work? Why me? Who are you people?" Winston declared. "For you are The Chosen One Winston, and the history of phones need your help." BlackBerry's John Chen is known for being brutally honest but in this interview from a few months back he gets even more honest than we've ever seen him before. You just want to give him a little cuddle. Meet Sally, but don't mess with Sally, Sally is serious. She's serious about the new LG Optimus range. So serious she's worn her best PVC dress for the occasion even though it's the height of summer outside. Now which of the LG Series are you going to buy? Buy it, BUY IT NOW. WHY HAVEN'T YOU BOUGHT IT ALREADY? You may be shocked to know even in the days before YouTube (which happens to be 10 years old this week) there was an appetite for cat videos. That and You've Been Framed-style humour of things hurting themselves. Put them both together, look at it it all through 2003's Nokia 3650 and Finnish company thought it was on to a winner. Sadly the advert never actually made it onto TV down to animal cruelty claims – oh, how things have changed. Animals in comedic peril is now the norm in almost every YouTube video you'll watch. We went to go see Edward Snowden's historic, yet destroyed, laptop. EE launched a brand new low-cost 4G smartphone called the Harrier. Carphone Warehouse went and launched its own network with free roaming in 22 countries. Plus we discovered that cute little football droid from the new Star Wars trailer is going to be available in shops!